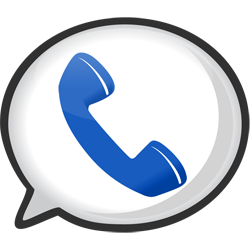 While the Google Voice app has always been free, there was speculation that voice calls to the United States and Canada would begin to cost you money at the beginning of next year. However, new Google Voice users are being greeted by a pop-up window when they first use the Call Phone feature in Gmail that indicates otherwise. See there? 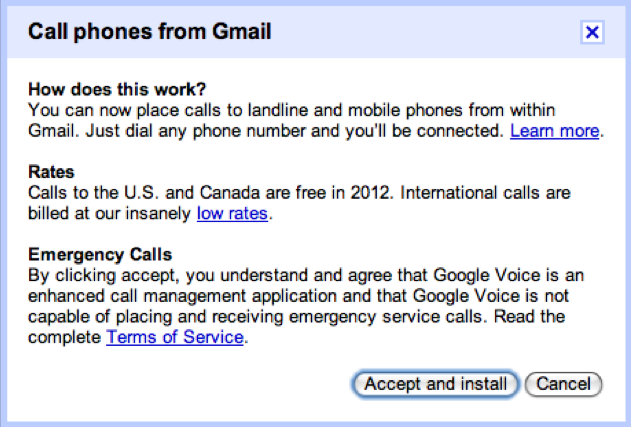 Calls to the U.S. and Canada are free in 2012. If there is anything I love more than free voice calling, it's another year of entirely free calling through Google Voice. And to think...several years ago people were feeding money to machines at gas stations just to make phone calls. If you don't already have Google Voice, pick it up below.